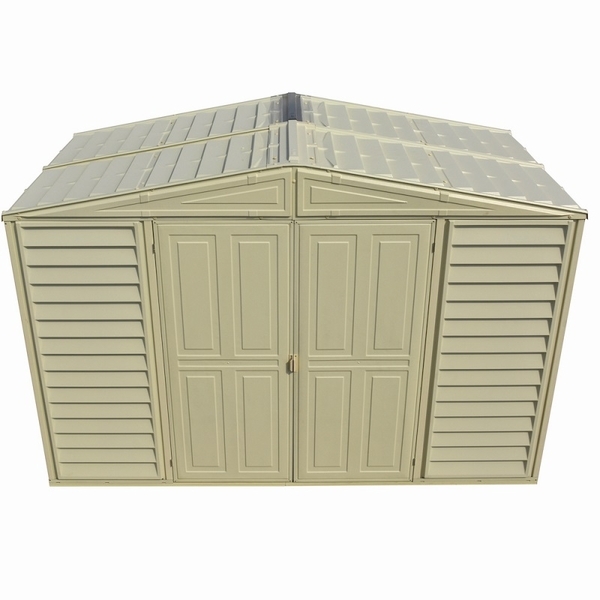 This 10.5' x 5 DuraMax WoodBridge Shed comes with a foundation kit and 61" wide double doors, in a 6-foot tall shed. 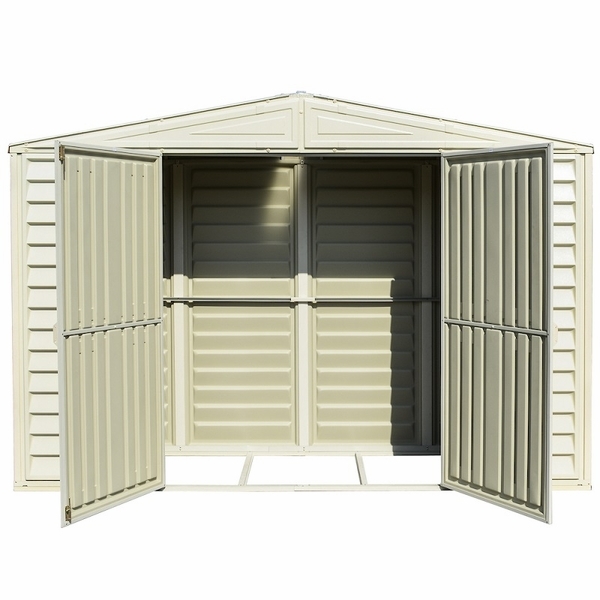 Reinforced wall columns with a solid metal structure give the shed strength and allow you to hang shelves or garden tools. 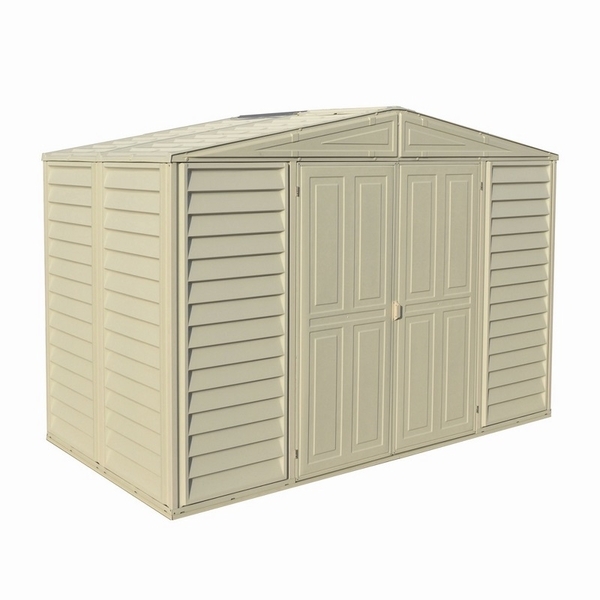 When correctly anchored to the ground, the DuraMax WoodBridge Shed has been tested to 115 MPH winds and boasts a 20lbs/sqft of snow load. 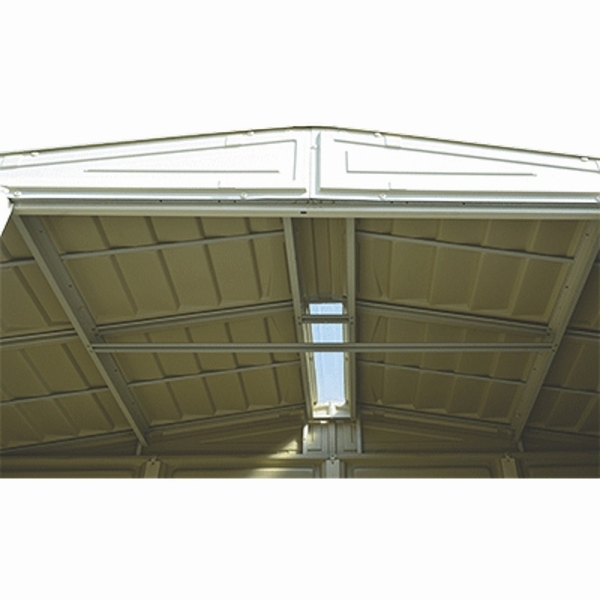 Also included with this shed is a skylight, providing your shed with natural lighting. Does this unit not come with a floor? This unit comes with a foundation kit, but no premade floor.